What Conditions Necessitate a Pacemaker? Pacemakers are most commonly used to treat bradycardia, an abnormally slow heartbeat. But other disorders, such as heart block, heart failure, and Long QT Syndrome, may also be brought under control with the use of a pacemaker. Do I need Open-Heart Surgery to Get a Pacemaker? No. 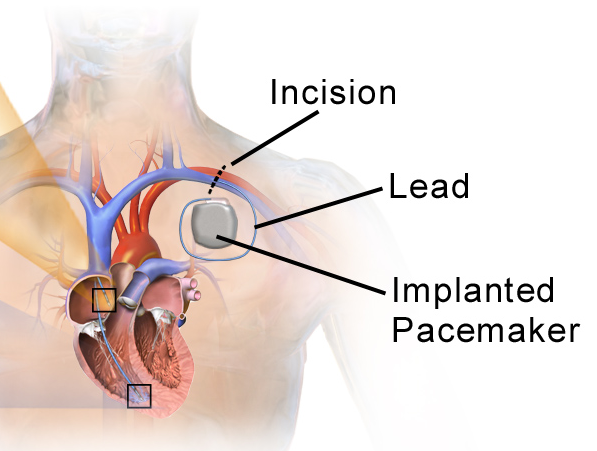 Pacemakers are inserted through a small incision, usually under local anesthesia. Generally, the surgery takes about two hours, and patients are released from the hospital within a couple of days. How Long Will It Take Me to Recover after Getting a Pacemaker? Recovery can take anywhere from a few days to a few months. The American College of Cardiology (ACC) recommends enrollment in a cardiac rehabilitation program following pacemaker surgery. Cardiac rehab provides coordinated, supervised care, and is the safest way for pacemaker patients to ease themselves back into normal life. Most insurance plans, including Medicare, cover cardiac rehab for pacemaker patients. Atlantic Coast Rehabilitation and Healthcare Center’s cardiac rehab center provides care at the highest level recommended by the ACC. Contact Atlantic Coast by clicking here. Do I Have to Limit My Activities If I Have a Pacemaker? After you have been cleared by your doctor following pacemaker insertion surgery, you do not need to limit your activities. However, anything that has a strong electromagnetic field may interfere with the functioning of your pacemaker. For example, people with pacemakers should not have MRIs. In order to help you avoid risk, your doctor will give you a pacemaker ID card, which you should carry with you at all times. You should also consider wearing a MedicAlert bracelet that states that you have a pacemaker. Cell phones are safe, but should be kept a minimum of 6 to 12 inches away from the pacemaker. Metal detectors, such as those found at airports and stores, are generally safe, though you should minimize your exposure by moving quickly through them and not standing near them. Hand-held metal detectors, however, pose greater risk. If you are ever selected for special screening with a hand-held device, show your pacemaker ID card and ask to be checked in a different way. Other devices, including medical devices, may also interfere with pacemakers. Be sure to inform your doctor that you have a pacemaker before undergoing any procedure. The part of the pacemaker that typically wears out is the battery. Most pacemaker batteries last between 5 and 15 years. The procedure to replace the battery is usually quick and requires little recovery time.